My journey into the martial arts began 16 years ago when I spotted a poster in college advertising Wing Chun classes in a nearby town. It said something about using your adversary’s energy against them, conjuring images in my mind of some ubiquitous force we could utilize to throw idiots some distance into a vortex of pain. And serve them right for messing with yours truly. I guess my outlook at the time wasn’t the most glorious expression of manhood, not that I was outwardly violent or anything of the sort, more on edge with life and heightened to the dangers I perceived all around me, primarily due to an incident outside my flat late one Saturday night. Long story short, I’d gone to the rescue of a friend who had just been beaten up by a group of young lads. Next day besides other bruises and scrapes he had a large contusion on the back of his head where you could literally see the imprints of a shoe in purple and black; I had a few stitches above the left eye. The cuts and bruises healed right enough, less so the hurt of defending my friend, and myself, ever so poorly. This blog is born from such misadventures. It comes reeling from violence and the commingling of the indignation and the doubt I felt as I engaged the martial route. It comes from a search for peace and happiness in a provocative world where I have more than often felt ever so small. It comes result of raising myself up in defiance of all oppressors, all oppressions and obstacles to the greater glory of my life I fear I have shied from. 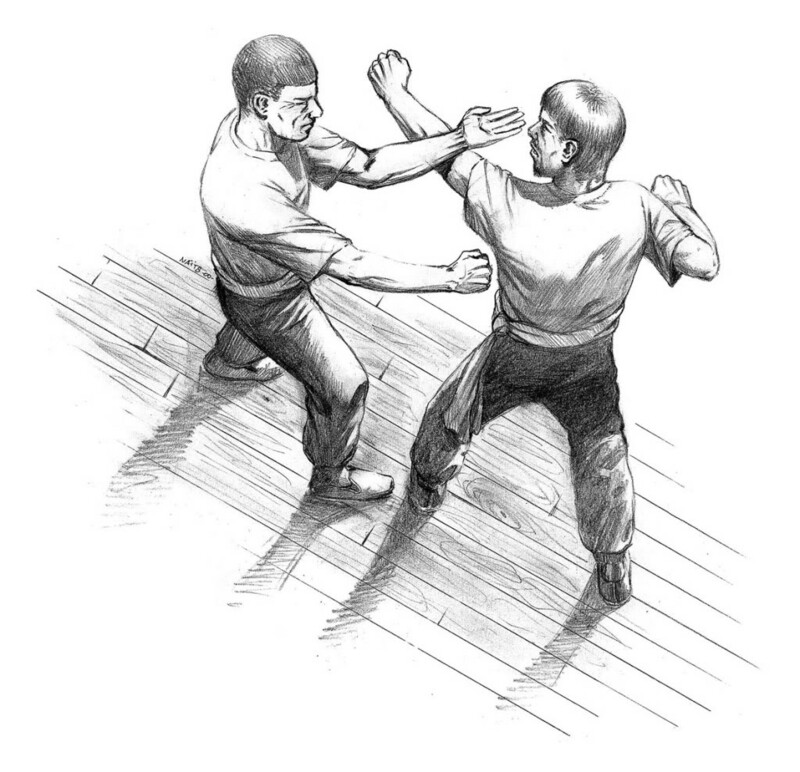 This blog uses Wing Chun as its source of inspiration. Nonetheless its message is valid for all, whether you be a practising martial artist or other. For through the manifold musings of The Martial Life, we are slantwise looking at Life – all Life, in which a feeling wholeness and self-sovereignty come not from deny the parts of ourselves we do not much like, but from their correction. All that may differ is our Philosopher’s Stone. Thus we will ponder Purpose, Courage, Confidence, Peace, Progress, Patience, Prowess, Right, Wrong, Violence, Hate, Love, Communication, Community, and more, as the Blog grows. – your journey, wherever that be.